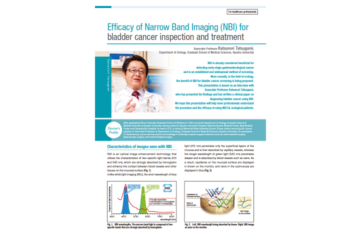 NBI (Narrow Band Imaging) technology enables improved visualization of tumor boundaries in Non-Muscle-Invasive Bladder Cancer (NMIBC) patients. Normal white light consists of a specific number of wavelengths and is used as standard during cystoscopy. 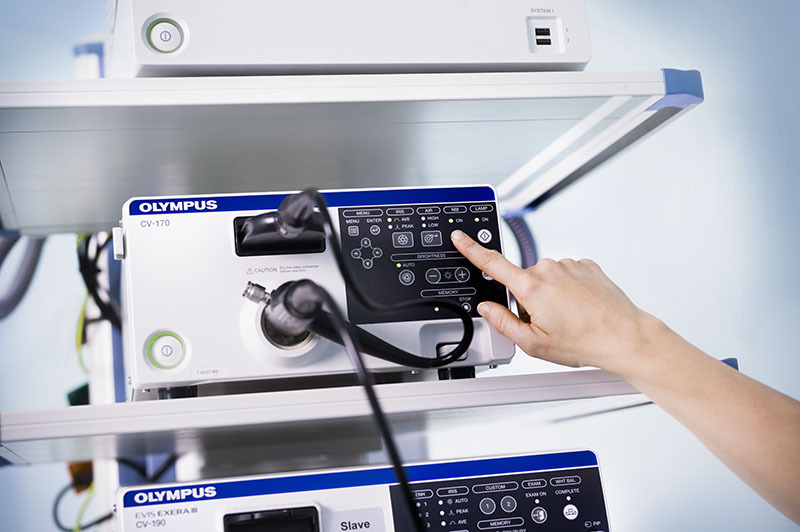 NBI light from Olympus works differently, revealing considerably more details about the tissue being examined. 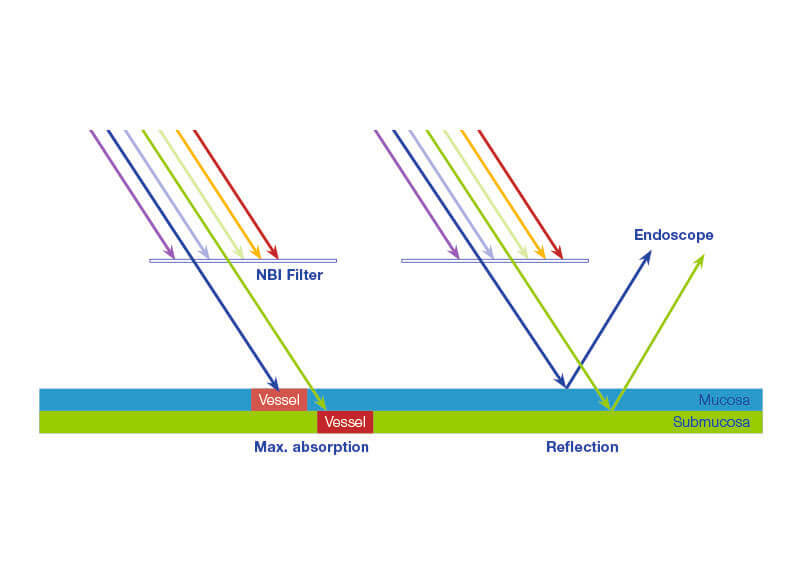 NBI light passes through a special narrow-band filter before it hits the tissue. 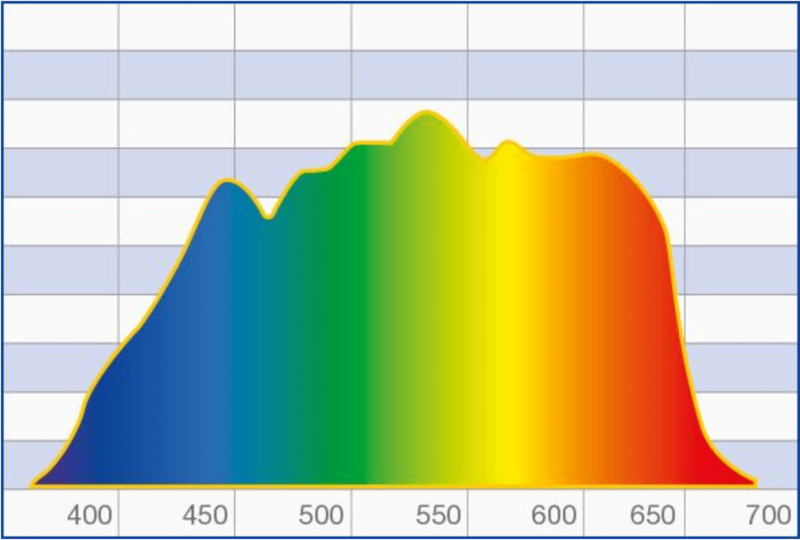 The filter eliminates all other wavelengths, with the exception of the shorter blue and the longer green wavelengths. When the blue and the green wavelengths hit the tissue, the light is absorbed by the hemoglobin contained in the blood vessels. The surrounding mucosal areas reflect the light back to the endoscope. As a result, the contrast of the blood vessels in relation to the mucosa is significantly enhanced. That makes the mucosal and vascular structure much clearer. In other words, because tumors are typically indicated by specific vessel structures, NBI light helps identify them and understand their pathology earlier on. How does NBI help medical specialists? Thanks to a large amount of clinical evidence, NBI really opens up many possibilities for diagnosis throughout a hospital. The high contrast between vessels and the surrounding mucosa means NBI facilitates the detection and characterization of tumors and even displays highly vascularized suspect lesions in deeper tissue layers. 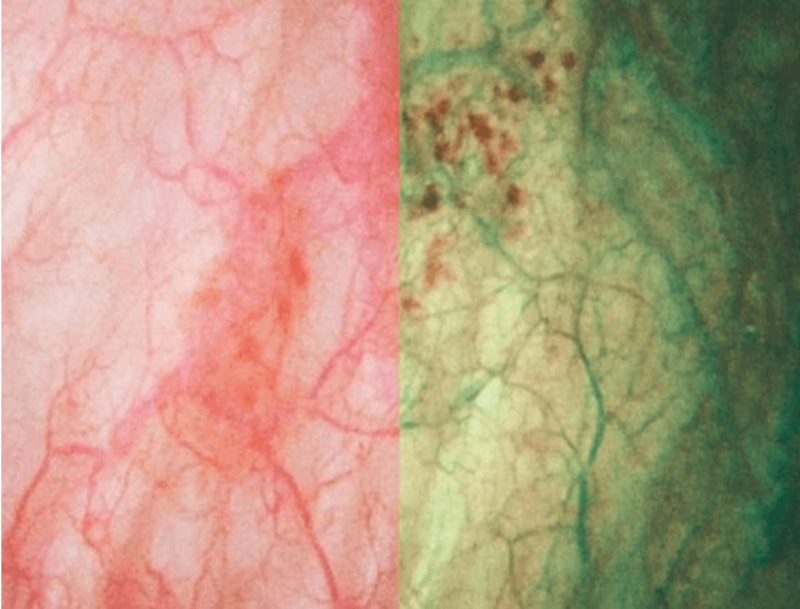 Compared with white-light endoscopy, the images of capillaries are less blurred and the probability of missing a lesion is reduced. As such, NBI improves specialists’ ability to reach an early and precise optical diagnosis. The blue wavelength only penetrates the superficial layers of the mucosa and is absorbed by the vessels on the surface. The green wavelength is reflected, hence the green color of NBI images. That makes the tissue’s superficial structure much clearer and more visible to specialists, thus facilitating the detection of highly vascularized tumors. Conversely, the green wavelength is absorbed by blood vessels within deeper mucosal layers. This is particularly helpful for displaying highly vascularized suspect lesions in deeper tissue layers. 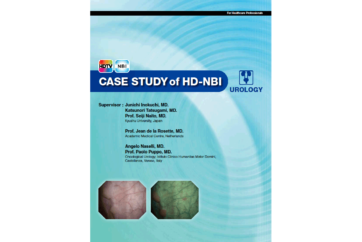 In addition, with NBI light the visualization of the capillary system is less blurred or distorted by scattering compared to white-light endoscopy. In the end, this makes a difference: because NBI light is absorbed by vessels but reflected by mucosa, NBI light achieves the maximum contrast of vessels and mucosa. 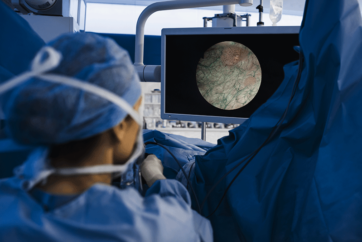 Therefore NBI sets a new standard in endoscopy and opens up many diagnostic possibilities that improve a specialist’s ability to reach an early and precise optical diagnosis of tumors. Want to know the ins and outs of how NBI works? Normal white light consists of light of different wavelengths. But only a small part of the spectrum is visible – the part the human eye perceives as colors. When an object is illuminated by white light, some of the colors are absorbed while others are reflected. The reflected colors are the ones we see. White-light endoscopy has been proven to give an excellent view of vessel structures and the surrounding mucosa, especially with HDTV. But there is still room for improvement, and that comes with Olympus NBI light. Olympus NBI light passes through a special narrow-band filter before it hits the tissue. The filter eliminates all wavelengths except the shorter 415 nm blue and the longer 540 nm green ones. Both blue and green wavelengths match exactly the absorption spectrum of hemoglobin. So when the blue and the green wavelengths hit the tissue, they are selectively absorbed by the hemoglobin and reflected by other structures.